i am hopelessly in love my little boy. even when he is cranky in the evenings. Ditto! 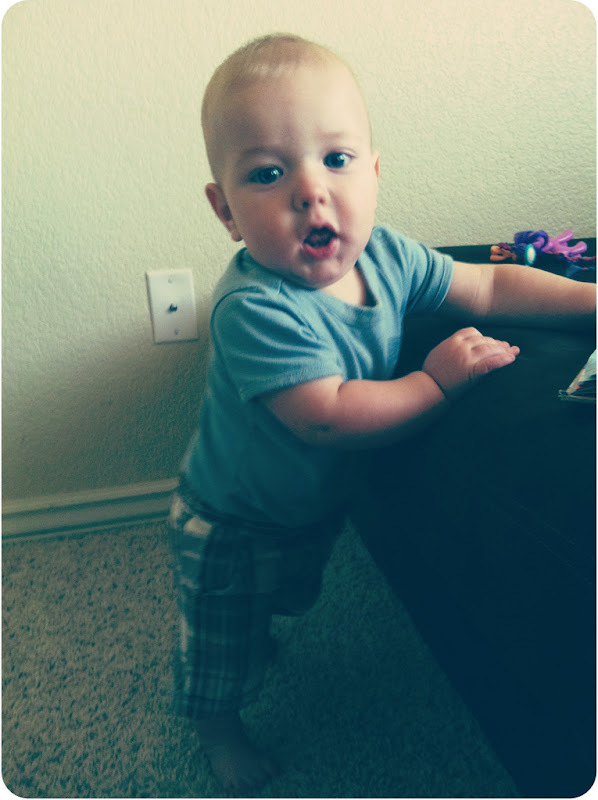 Can't believe he is pulling himself up on everything! He will be walking before you know it!! !